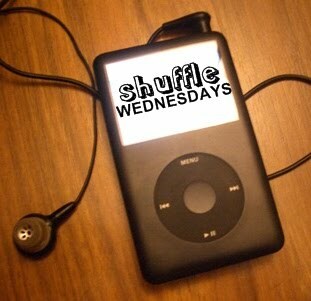 Sorry wasn't able to do The Shuffle last week, but we're back in action today! So we're leaving for Singapore later today, around 9 pm, and we'd be back by Monday next week. I'm pretty excited for this trip because 1) I've been wanting to have a real, proper summer getaway because my summer this year was taken up by acads, 2) I want to go shopping again, and 3) Universal Studios Singapore! \m/ Little known fact: My tita, mom's sister, is the project manager of Universal Studios Singapore so we've all known this for a few years already, seeing her designs and all the other cool rides and now finally, I get to experience it! So yeaaaah! "One day you'll see her and you'll know what I mean / Take her or leave her she will still be the same / She'll not try to buy you with her time / But nothing's the same / as you will see when she's gone"
- You know how when you're trying to get over someone, and then one day you wake up and you just suddenly realize that life did move on and you're okay? This song should be playing in the background. "In the sheets that lie upon his bed / Out there amongst the waves / And inside your lover's head / There is only one thing / There is only one thing / There is only one thing"
- Ahhh my favorite band. I know I say I have a lot of favorite bands, but yeah, Stars has got to be right up there on top. You have to download this whole album, heck, their entire discography. Their music and poetry is phenomenal. Perfect for chilling on a Sunday morning, or when feeling profound in the middle of the night. "You don't know but that's okay / You might find me anyway / Don't you know that I / belong arm in arm with you baby"
- I love Regina Spektor. The first time I heard her, I was blown away. This song is just so sweet and innocent, and lovely. It sings of love, happiness and contentment. If you're young and in-love, this is the song for you. "Don't be too scared away / You only burn your tongue / You taste so good today / you'd get love from anyone / Oh you really wake up the love in me / Yeah you always stir up the sea / Oh"
- A fun pop-rock love song. Do they have this in Rock Band? They should. "And take me where I wanna be / Any place will do / Learn the tricks of fire / I apologize / But I'm gonna have to take me with you"
- One of my favorite Up Dharma Down songs. I love UDD. Admittedly, I'm not that big a fan of OPM, but aside from Paramita, this is the only other band I'd kill to see live. Their music is so whimsical and yet so true -- as long as it's UDD, the truth doesn't hurt as much. "When it gets cold outside and you got nobody to love / You'll understand what I mean when I say / There's no way we're gonna give up / And like a little girl cries in the face of a monster that lives in her dreams / Is there anyone out there cause it's getting harder and harder to breathe"
- Songs About Jane is the best Maroon 5 album for me. And this is just one of the really good songs in that album. Nobody does angst and frustration in better style than Adam Levine. "I watch the sun go down / I watch the sun go down / Then I wander around / then I wander around / It's here then it's gone / Love doesn't last too long"
- This is one of the saddest The Weepies songs. The way this song resonates in your head is so melancholic, it will probably make you want to write sad poems in your journal, cry over pictures of your ex, and ponder on how miserable your life is. "Get up come on get down with the sickness / Open up your hate, and let it flow into me / Get up, come on get down with the sickness / You mother get up come on get down with the sickness / You fucker get up come on get down with the sickness / Madness is the gift, that has been given to me"
"Come break me down / bury me / bury me / I am finished with you / Look in my eyes / You're killing me / killing me / All I wanted was you"
- Wow, is RockBand summoning me? :)) But I've honestly known of 30STM way before RB. If Stars is my favorite band, they come a close second. I myself am actually surprised that I love their music seeing as how different it is from what I usually listen to. But Jared Leto and the rest of the band have this flare with their songs that really draws one in. It's angry music that makes sense. This song will always be memorable to me, if only because it's the one I sing with so much gusto when I'm furious at anybody. Trust me, it works. "You are my fire / the one desire / Believe when I say / I want it that way"
- Is there any 90's kid out there who doesn't know this song? BSB was part of our childhood. You don't deny being a BSB fangirl. But really, this song is special to me because of a completely different reason. Let's see, it involves a 15-year-old boy and a pink shirt. That forever changed my idea of this song. This always makes me smile (and dance, haha). P.S. Shoutouts to Kaisa and Ate Patty! Literature geeks like us need to stick together :P :)) Hugs to you guys!